These pretty little cookies are a mouthful of wonderful on a Christmas plate. 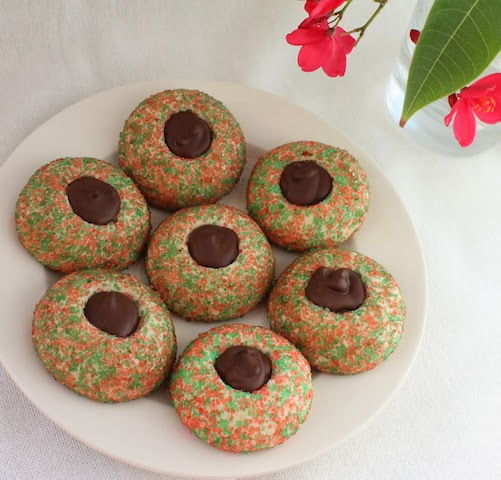 Roll the dough into balls and coat them with sprinkles or colored coarse sugar, then bake and fill with melted chocolate when cool. Santa and his helpers will love these! Welcome to #cookieweek, my little cookie monsters! 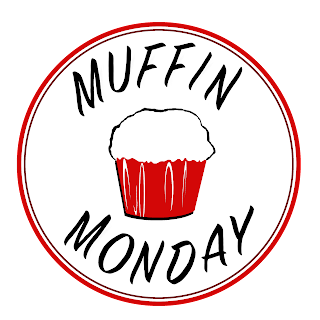 Susan of The Girl In The Little Red Kitchen and Kim of Cravings of a Lunatic have joined together this week with 23 of their blog friends (including me!) with a week of cookie treats for you! We have every type of cookie you can imagine, including something for our furry friends! Now is the time to bookmark these recipes for the upcoming holidays and cookie swaps or simply follow our Pinterest board! 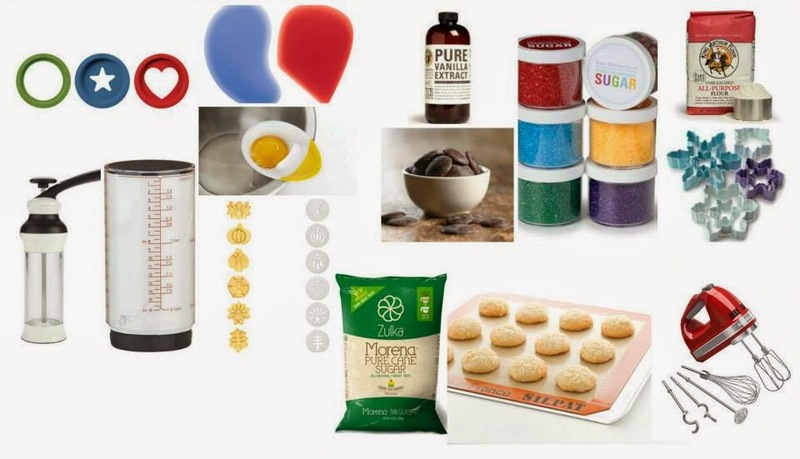 And make sure you enter the giveaway for some fabulous prizes from KitchenAid, King Arthur Flour, OXO, Silpat and Zulka Pure Cane Sugar to help with your cookie making needs! Many thanks to Jen from Juanita’s Cocina for the thumbprint dough recipe and the inspiration for this Christmas cookie. 3 1/2 oz or 100g semi sweet or dark chocolate – I prefer to use bars rather than chips because the chips don’t melt as nicely. 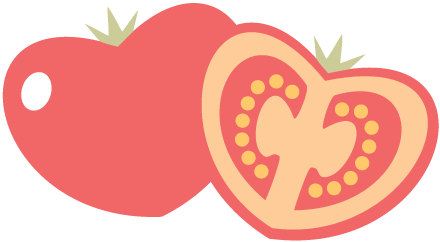 Preheat your oven to 350°F or 180°C. Grease two cookie sheets or line them with parchment paper with just a dab of butter to keep the parchment from sliding around. Sift your powdered sugar into a large mixing bowl. Add in the butter and vanilla and beat until light and fluffy. This takes just a few minutes. Add in the salt and about a quarter of the flour and beat until smooth. Keep adding the flour a quarter at a time and mixing well, until you have soft dough. Scoop out tablespoons of the dough and roll them into balls. 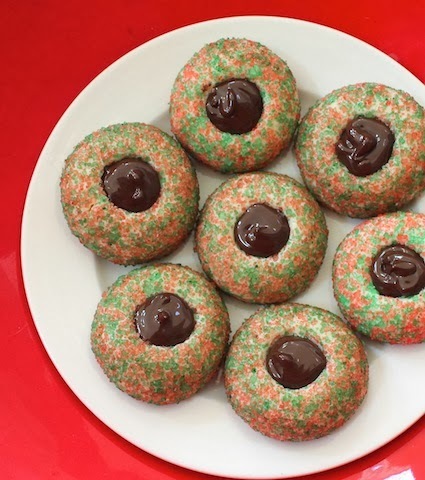 Roll them around one at a time in your bowl of red and green sprinkles, until they are fully coated. Place them on a cookie sheet with a couple of inches between them. Press a small indentation in the top of each ball with your thumb or forefinger. Bake the first pan for 10 minutes in your preheated oven. Remove the pan from the oven and use the end of a wooden spoon or a pastry brush to enlarge the indentation in the cookie. Bake for another seven or eight minutes, then remove from the oven. You want them to be just set but not browned. I pushed the indentation down again, just gently. Allow the cookies to cool and repeat the process with the second pan of dough balls. Leave the cookies to cool. Meanwhile, melt your chocolate in a microwaveable bowl, by zapping it for 15 seconds at a time and stirring in between, until it is of pourable consistency. When the cookies are completely cool, put your melted chocolate in a piping bag with a small decorating tip and fill each cookie indentation with chocolate. The chocolate will set firm when it cools. 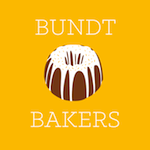 And now the amazing giveaway lined up this week thanks to our fabulous sponsors, KitchenAid, OXO, King Arthur Flour, Silpat and Zulka Pure Cane Sugar! Just follow the Rafflecopter instructions below to enter. The iconic Kitchenaid stand mixer was born in 1919, from there stemmed an entire kitchen of high-performance appliances -all created with the same attention to detail and quality.OXO’s mission is dedicated to providing innovative consumer products that make everyday living easier.King Arthur Flour was founded in 1790, as America’s oldest flour company they provided pure, high-quality flour to residents of the newly formed U.S., still going strong, they are the nation’s premier baking resource.Silpat was founded in 1965 by M Guy Demarle in Northern France. 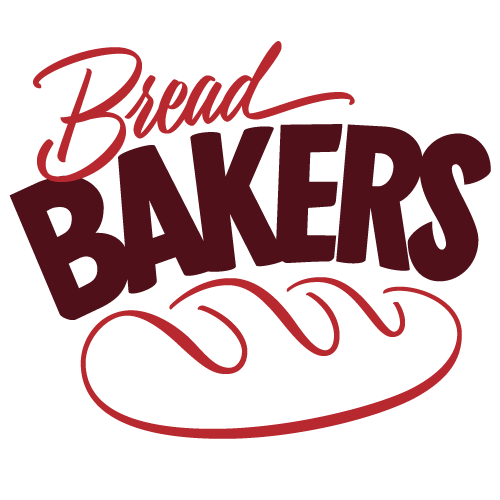 He was an experience baker seeing a better way to bake bread with forms using non-stick silicone coatings. He invented the first non-stick baguete baking trays and a few years later invented and created the original Silpat.Zulka Pure Cane Sugar is a Non GMO Project Verified “Morena” sugar - a term used to described granulated sugars that do not undergo conventional refining processes. Zulka is perfect for baking, it tastes better, is less processed and is a cup for cup replacement.